The Arthofer Nymph has been developed in the German speaking Alpine region. 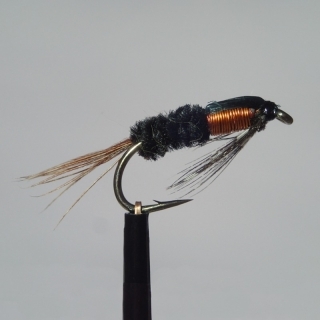 This reliable black nymph is not weighted by a bead but with copper wire in the thorax. The Arthofer is catching fish ever since, wherever it is fished.